Attempting to break land speed records is a true adrenaline junkie’s hobby. Fittingly, a Dutch cyclist set the world land speed record for bicycles a few months ago. Hopefully the 83 MPH he hit was enough to get his fix. Student Sebastiaan Bowier was part of a team from Delft University of Technology and VU Amsterdam. 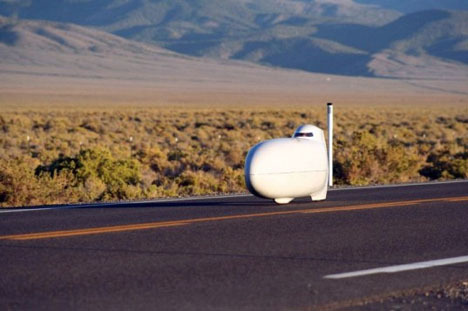 Sponsored by PostNL, the Netherlands’ national mail carrier, the group developed a recumbent bike that tore through the Nevada desert. “This is not only an achievement by the students and cyclists, but also the many businesses that supported us…who have backed us since the very first team to emphasize that the Netherlands is a top cycling country,” said team leader Wouter Lion.